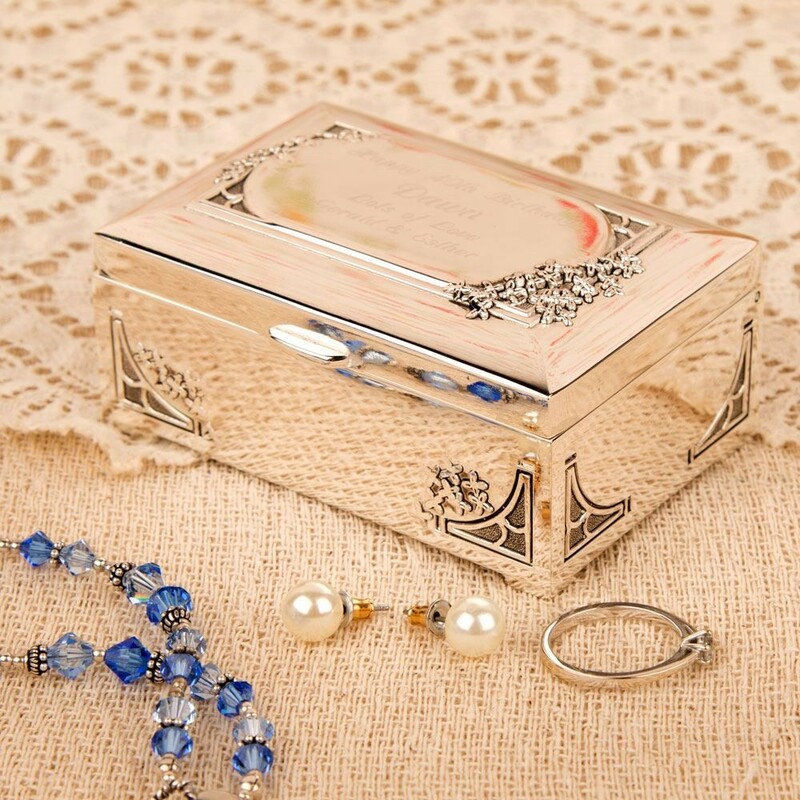 This silver plated engraved trinket box is a beautiful little keepsake gift. 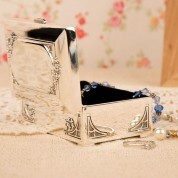 A stylish addition to any dressing table, it is a chic way to store jewellery or bits and bobs you want to keep safe. 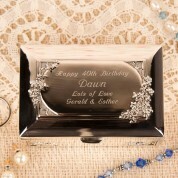 Our inclusive engraving service means you can personalise the trinket box to suit any occasion. They are popular as mothers day, birthday or wedding party gifts. 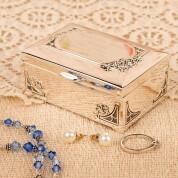 The trinket box is beautifully gift wrapped in a luxurious velvet gift pouch and presentation box. Measurements: approx 8cm x 5cm x 3cm. Very nice, if a little small. Great service, recommended. Bought as a birthday gift for a special friend. It was lovely & my friend was delighted with it.